The Forester is a highly capable, full-size general purpose axe. 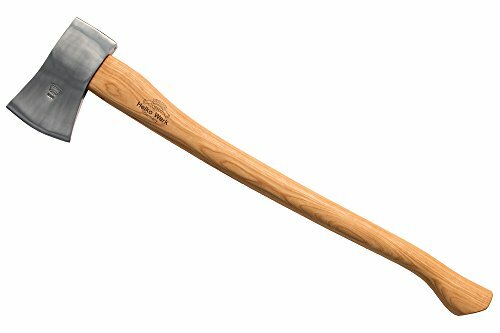 Its 3.5 pound head provides enough heft for all types of cutting and splitting work, and is big enough to take down large trees without fatiguing the average user. If you are looking for a full-size axe, but aren't able to comfortably wield the 4.5 pound expedition, the Forester is a solid choice. Perfect for the farm, home, or cabin. The head is buffed and polished to a highly reflective finish that reduces cutting friction and improves rust resistance.